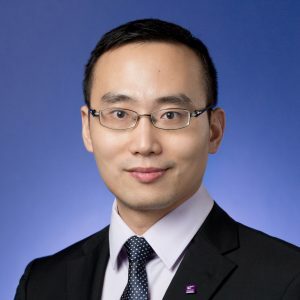 Prof. Zhenyu Gao is an Assistant Professor in Finance at The Chinese University of Hong Kong (CUHK) Business School. Prof. Gao joined CUHK Business School in 2014. His primary research interest is in asset pricing, behavioural finance, real estate finance, and Chinese economy. He received his PhD in Economics from Princeton University and MA in Economics as well as BS in Astrophysics from Peking University. Ting Chen, Zhenyu Gao, Jibao He, Wenxi Jiang, and Wei Xiong (Forthcoming), “Daily Price Limits and Destructive Market Behaviour,” Journal of Econometrics. Darwin Choi, Zhenyu Gao, and Wenxi Jiang, “Attention to Global Warming.” In-principle acceptance of RFS Climate Finance registered report, completion of the paper in progress, Review of Financial Studies. Zhenyu Gao, Haohan Ren, and Bohui Zhang, “Googling Investor Sentiment around the World,” Revise & Resubmit, Journal of Financial and Quantitative Analysis.